The Shetland Sheepdog (Sheltie) belongs to the Sheepdogs and Cattledogs (except Swiss Cattledogs) in the FCI grouping. The Shetland Sheepdog (Sheltie) is classified under the Herding group in the AKC grouping. Is the Shetland Sheepdog (Sheltie) allowed as a pet in a Singapore HDB flat? Shetland Islands, 1700s. A descendant of the Border Collie, bred by farmers on Shetland Islands to herd and protect their flocks of sheep. The Shetland Sheepdog was brought to England and Scotland in the early 1800s; where it was known as the miniature collie. So much crossbreeding took place, such that by the end of the century, the breed had almost lost its original appearance. Breeders were undecided as to how to regain the original look, some bred only the then existing Shelties that looked closest to the original, some crossbred the dogs with Collies in attempt to regain the look, and some continued the careless crossbreeding to produce smaller and prettier pets. 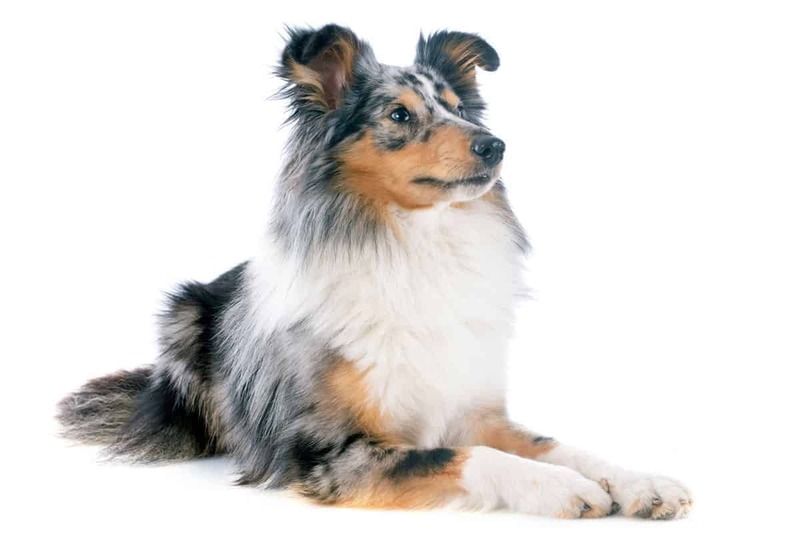 The breed was recognised in Great Britain in 1909 (as Shetland Collies and later renamed Shetland Sheepdog after the Collie breeders in Britain protested) and the United States in 1911, yet the breed standard was not agreed and established until 1930. The Shetland Sheepdog continued to gain popularity worldwide, and interestingly, it is considered to be fairly rare today on the Shetland Islands where they originated. Kind, watchful, intensely loyal, obedient, sensitive, affectionate. Shelties will follow you from room to room in the day. Will attempt to herd children and should be discouraged to do so early. Agile. The lightest of the working breeds. Needs affection. The Shetland Sheepdog is known to be very vocal. Some can dig their way out under fences. What are some Physical Features of the Shetland Sheepdog (Sheltie)? The sheltie measures between 33 to 40.5 cm, and weighs 9 to 10.5 kg; resembles a rough-coated Collie in miniature. 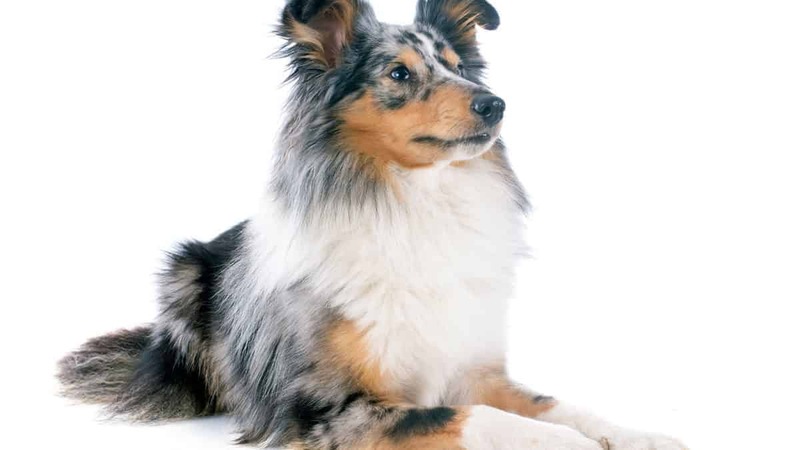 Colours are sable, brown, black, tricolour, or blue merle with white markings. Double coat; outercoat long, straight and harsh; undercoat thick, soft. High maintenance, shelties require brushing at least twice a week. He is a very clean dog who tries to look after himself. Fine hair behind the ears tends to tangle. Professional grooming is recommended. Shetland Sheepdogs are heavy seasonal shedders. The life expectancy of the Shetland Sheepdog is between 12 and 15 years. Eye problems (PRA, Collie eye anomaly), PDA, thyroid disease, dermatomyositis, deafness, von Willebrand’s. Moderate to high. Shetland Sheepdogs have heaps of energy that you will have to find ways to expend. They will thrive on activities which gives them mental stimulation and physical exercise. Shelties can adapt to urban areas (if the neighbours can handle the barking) as well as the country, but needs long walks and other strenuous exercise. Bonds to whole family. Good with children, if the children are gentle. May be shy or reserved with strangers. Shetland Sheepdogs are generally good with other pets. Very high—the sheltie excels in obedience and agility. Shelties respond best to positive reinforcement training, however, try to keep the training interesting and avoid repeated exercises if he got it right the first time. Obedience, herding, agility, therapy dog.